Woodstock, NY (June 28, 2018) - On Saturday, June 23rd at 8:15 pm, the Woodstock Film Festival held a special screening of LEAVE NO TRACE, courtesy of Bleecker Street, at Upstate Films in Woodstock. The screening was followed by a Q&A with director Debra Granik. The film, starring Ben Foster and Thomasin Harcourt McKenzie, explores the lives of Will and his teenage daughter, Tom, who have lived blissfully off the grid in a vast nature preserve on the edge of Portland, Oregon. While avoiding detection by authorities, a chance encounter blows their cover, leading to removal from their camp and placement into the custody of social services. Struggling to adapt to their new surroundings, Will and Tom set off on a perilous journey back to the wilderness, where they are finally forced to confront conflicting desires—a longing for community versus a fierce need to live apart. Debra Granik was the director and co-writer for WINTER’S BONE, starring the then-unknown Jennifer Lawrence, which was nominated for four Oscars, including Best Picture and Best Adapted Screenplay, and won the Grand Jury Prize at the 2010 Sundance Film Festival. Granik returned to the Woodstock Film Festival in 2014 with her documentary film STRAY DOGS. “One of today’s most intelligent and daring filmmakers, Debra Granik, who has a keen eye for discovering emerging young talent (think teenage Jennifer Lawrence in WINTER’S BONE) often delves deep into the story and characters that she creates, bringing out unique beauty and kindness in the most unlikely people and places" says Woodstock Film Festival Executive Director Meira Blaustein. "I first saw LEAVE NO TRACE as it world premiered at Sundance in January 2018 and knew right there and then that I would have to bring the film and its filmmaker to Woodstock." LEAVE NO TRACE is yet another example of how fortunate we are to see the film in an intimate setting, meet the director, and discover the art of the story. The film gives us an insight into what our society has inherited with post-traumatic stress disorder. A father and daughter capture a seemingly safer life as survivalists and struggle to grow as individuals and remain a family. This film asks the audience to question their relationship with nature, love and who we are as individuals. Hailed as "A true American Maverick Among Fests" and named among the top 50 film festivals worldwide, the Woodstock Film Festival premieres exceptional films, hosts the most talented emerging and established professionals in the movie industry; presents A-list concerts, panels and parties, and creates stimulating, innovative programming year-round. 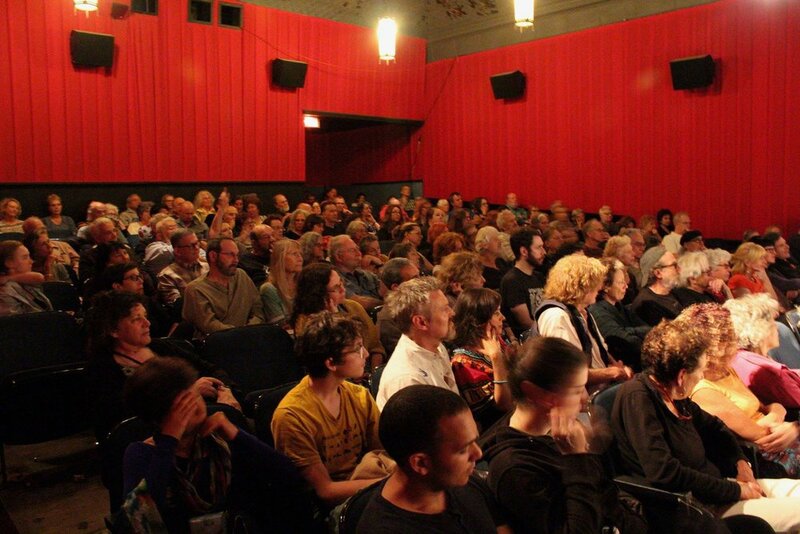 The Woodstock Film Festival returns October 10-14, 2018 with an extraordinary line-up of fiercely independent films, panels, concerts and special events in Woodstock, Rhinebeck, Kingston, Rosendale and Saugerties.